Help you plan your move. Assist you with every step of the preparation. Carry out the job quickly and efficiently. We work on a flexible schedule, in accordance to the highest quality standards of the industry. You can get in touch with us for booking and a free quote at any time thanks to our around the clock customer support. Removals in Stonebridge Park area are easy when you have us by your side. What is equally important – they are cheap. We charge 30 pounds per hour for a clean van with GPS and moving blankets, together with one mover. Any additional manpower and longer time-periods for the work come at preferential prices – consult our Price list for more information. We not only move, but also store property. You can book a storage unit of 15 sqft in our alarmed and secured premises for just 13.75 pounds per week. The space would be available to you right away and there would be no hidden costs in the quote. 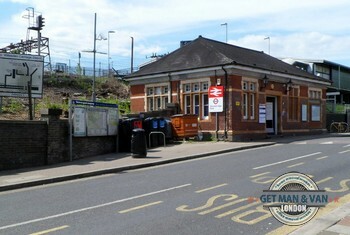 Stonebridge Park is the main rail station in HA9, Brent. It services both the London Overground and Underground. Even though Stonebridge Park station is neither the oldest, nor the busiest of the London rail station, it is still a pretty important transport hub, which is located in a beautiful suburban area preferred as a place of residence by many people. Brent is known as a nice place to settle down, and HA9 makes no exception to that rule. This is the reason why Stonebridge Park station and the surrounding territories are more than likely to rise in importance in the years to come.